Along with our repertoire, our people set us apart. We are a company of individuals spread out across 11 offices, covering 13 major territories with deep relationships to the societies, media & music companies. Our managing directors in each country assume responsibility and accountability for the repertoire they oversee and are as passionate about the music they work with as they are about doing things in a new and better way. These professionals have had stints at PRO’s, both major and independent labels and Publishers, producers, and successful music managers. Additionaly Schubert has close partnerships and reciprocal deals with related companies operating in various sectors of music industry which expands our range of services even more. Our experienced team and cutting-edge technical structure have helped to propel and cement the international success story of our company. Check who we are and listen to the music that inspires us. Graduating from Technical University in Liberec, Jiří holds a Diploma in Mechanical Engineering. After a brief visit to Czech Army, as a Sergeant, he made his way to HR Departments, working mainly as a Head Hunter, or HR Manager. Then, in November 2012, he joined our Czech office, as a temporary deputy of Jiřina during her maternity leave. Although with no experience in the music business, Jiří proved himself and became a proper member of our team in September 2013. He is responsible mainly for covers & sync clearing and other active work. Privately, he spends much time writing as a blogger, loves gardening and bookkeeping(!) and is passionate about music. Out of 25 years in the music industry, she spent 23 of them in the publishing business – 9 years as Publishing Manager at Universal Music Publishing s.r.o. (Czech Republic) and 14 years with Schubert Music Publishing CZ. Now, Jiřina is the Managing Director of SMP Czech Republic overseeing our operations in the territory of Slovakia as well. Since 2004, she is also very active at OSA (Czech PRO) – being, over the years, a deputy member then proper member of live performances and distribution rules committees. Now, since 2013, Jiřina is a Board member and the Head of the Distribution Rules Committee at OSA. Jiřina is also well-known for her passion for dresses. Her collection of self-designed, self–made outstanding designs still surprises us. After graduating from the University of Westminster in 2015 with a degree in Politics and International Relations, Jacob wanted to pursue a career in the music industry. After working for a London-based artist management company for a year, Jacob was hired as SMP’s Live Music Director in November 2017. His role involves finding booking agents and live shows for Schubert artists across the world. He was then given the additional responsibility of Head of Social Media in November 2018. He is often representing SMP at music conferences across Europe and can be found DJing around London and beyond. Daryl Bamonte joined Schubert Music Publishing as the Managing Director and A&R of the UK office in 2014, bringing more than 30 years experience in the music industry; including more than 15 years with Depeche Mode in various roles, such as tour manager, project manager and also keyboard player. He also worked for many years for The Cure, including Executive Producer on ‘The Cure’ album and ‘Trilogy’ DVD. Daryl has signed a number of key artists/writers to the UK roster, including Roger O’Donnell & Jason Cooper (The Cure), Polly Scattergood, James Chapman (MAPS), Jules Maxwell (Dead Can Dance) and Jennifer Pague (Vita And The Woolf). He is still active as an artist manager and is the keyboard player in Norwegian post-wave band Permafrost. Ruxandra graduated from the Faculty of Law at the University of Bucharest and she has chosen to combine her passion for music with the knowledge acquired in college, joining Schubert Music Publishing’s team in Romania. In her free time, you can find her volunteering at The Princess Margareta of Romania Foundation in projects dedicated to the elderly. She also enjoys reading mystery novels and playing boardgames with her friends. Laurentiu started to play guitar when he was 7 and just two months after the first lesson, he had his first show. Since then, he has participated in numerous school shows. In high school he formed a rock band with which he has released 5 studio albums and has played hundreds of concerts in over 25 years of activity. In 2006, he joined Schubert Music Publishing, having the opportunity to discover the backstage of the music business, learning that behind a successful songwriter is a whole team of professionals and a lot of work and also having the great opportunity to work with impressive publishing catalogues such as Sony/ATV & EMI Music Publishing, Warner/Chappell Music, Kobalt Music, Wixen, Downtown and many more. To All My Friends Z.O.B. Dan is a 25 year music industry professional, enthusiastic biker and skier, proud co-founder of Schubert Music Publishing Romania and also of Roton Group of companies. Kasia is a microbiologist, graduated from Warsaw University of Life Science. She started working at Schubert Music in 2006, being a student yet dreaming about a scientific career. (Un)fortunately the reality proved to have nothing in common with dreams. The result of which is 13-years connection to music publishing. Starting as the office manager, through the copyright assistant, music base supervisor and synchronization manager, today Kasia – still at SMP – takes care of income tracking. Kasia’s hobby is knitting and crocheting. An educated instrumental musician – a cellist. After graduation, Marzena worked in several orchestras as a tutti musician. As a session and entertainment musician she participated in many recordings of theatre and movie music. As a surprise, Marzena took up a position in the National Museum in Warsaw as a historical and musical educator and guide. For the last three years, she co-founded the Sirens company, where she was a music consultant and a publisher. She is also the manager of electro group – Melika from Wrocław and the Vinyl String Quartet. She has been working at Schubert Music Publishing since 2019 taking care of the catalog of production music. Privately, she is passionate about traveling … far and near. Grzegorz cannot pinpoint the moment he fell in love with computers, but it was definitely the first PC he got at the end of primary school that changed his life and the prestige of his school which suddenly got its first ever webpage. After all these years computers still keep him amazed, he still loves creating internet applications, linux systems, so when he joined Schubert Music in 2010, we not only got the first version of S-Tunes but also other valuable software which makes our life much easier. As a genuine IT addict, he is also an expert on coffee making, loves cars and motorbikes and is the founder of a motorcycle club. After graduating from University of Ecology and Management where he studied Computer Science and Econometrics, Paweł took up some additional studies at Warsaw Polytechnic and joined our central office in Poland to help with the development of S-Count. After the first couple of months it became clear that with his versatile and goal–orientated mind, he will help the team in many other areas including copyright and royalty accounting. When not at work, Paweł is constantly busy learning a new language to master 6 of them. At the moment only French and Russian are left. Mariola joined the Schubert Music Publishing team in 2009. From the beginning of her career in the company she has been dealing with the financial area, currently being the Head of Financial / Bookkeeping. She graduated from the University of Economics in Wroclaw. Mariola holds Master’s degree in International Business and Postgraduate Diploma in Accounting and Financial Control. In her spare time, she can’t stop exploring: she runs, rides a bike and travels a lot, stopping only occasionally to catch up on some reading and watching old movies. Educated to be a physics teacher, Paweł proved publishing might be equally interesting and addictive. He joined Schubert Music Publishing in 2009 to support our copyright team. For the first nine years he was successfully dealing with all administrative issues, starting from work and agreement registration, counterclaims solving and finally broke through to income tracking which seems to be perfect place to be for Paweł, with his uncompromising attitude, attention to detail and analyzing skills. Paweł is also passionate about cycling and cooking, believing eating is equally irresistible. Before 2013, Michał had only a vague idea of what a music publisher does. He is now specializing in copyright administration, being responsible for agreements registration and distribution, work registration and data processing. Whenever needed, Michał also supports our copyright team in the Polish office dealing with various ad-hoc issues. Right after work he goes rock climbing, sailing or rides his beloved motorbike. Marta joined the Schubert Music team in 2010 (at the last year of her studies). She studied Food Technology and Human Nutrition at Warsaw University of Life Sciences. Now, apart from being our in-house nutrition advisor, she is one of the main copyright people in the company with an extensive knowledge of our system. Marta is also responsible for future development of S-Count. When not at work, Marta enjoys travelling, sports and mountain hiking. Magda graduated from the Higher School of Communication and Social Media in Warsaw, and also holds a degree in Journalism and Political Science from Warsaw University. She started her career in the music business at Warner Music Poland where, for five years, she was dealing with licenses and synch deals. Magda joined Schubert Music Publishing in 2009 as one of the copyright managers. Today Magda is The Head of Copyright, making sure all copyright queries raised by our clients, partners and societies are attended to, all deal terms are correctly implemented into our database and supervising all other administrative processes in the office. Perfect in French, elle aime le cinéma français, with special emphasis on comedies. Apart from that, Magda really enjoys the woods and is an expert in mushroom picking. A lawyer by training, musician by passion; Thomas gave up working in law firms to pursue his dream of working in the music industry. For the past two and a half years he worked as a music supervisor, successfully selecting music for all kinds of TVC and feature films, and is a keen follower of tech music solutions within the industry. Tomek joined Schubert Music in 2018 to help us with various aspects of the creative services SMP provides, devoting much of his time to S-Tunes development and making sure the database is constantly up to date. Róża holds a degree in Advertisement and Copyright Law. She joined Schubert Music Publishing in 2004 where she is now the Head of Central Creative Services, being responsible for the organization of all creative services including selecting and licensing music to various projects and sustaining good working relationships with our authors and artists. Privately, a natural born fan of Elvis Presley, she loves literature, travelling and photography. Róża believes work can be a passion but can’t imagine her life without a good cuisine and Granda! Granda (Brussels Griffon) joined Schubert Music Publishing at the beginning of 2013. Her main task is to support creative staff, but she is also responsible for the creation of positive working atmosphere in the office. Somewhere between the naps, Granda consults and supervises the process of locating the right songs in synch projects. Privately, a big fan of travelling and an avid collector of balls and plush squirrel toys. Passionate about history with a Degree in Archeology, Robert decided to spend his time digging deep in royalties. He started in 1997 at BMG as Royalty & Copyright Specialist, being responsible for the Artists royalty distribution, then in 2000 he met Andreas and joined him at Koch, eventually becoming one of the first three co-workers at Schubert Music Publishing. Through all these years at SMP Robert proved his combination of attention to detail and endless tenacity makes him a perfect royalty manager. Krzysztof holds a degree in economics from SGH Warsaw School of Economics. Prior to joining SMP in 2010 he worked briefly in journalism and consulting. Interested in a wide variety of topics including science, philosophy and critical thinking. Krzysztof is now a Head of Royalty Accounting in SMP Central Office overseeing all accounting operations of the company, including the production of financial reports, maintenance of an adequate system of accounting records, and a comprehensive set of controls. Marta gave up her career as a language teacher in 2000 to explore the world of music publishing. For the first seven years she was part of the BMG Music Publishing team, working as a copyright and royalty manager. Then, in 2007, Marta joined Schubert Music Publishing, now being responsible for the central office organization, and she also takes care of the international development of the whole Schubert Music Group. Marta holds degrees in English Philology from Świętokrzyski University and in Journalism and Political Science from Warsaw University. She also got a Postgraduate Diploma on Copyright Law from Warsaw University. Having established himself as a distinguished composer and producer on the Hungarian independent music scene in the early 2000s, Árpád delved into the deeper layers of the music business joining Deezer Hungary as Editor in Chief and Artist Marketing manager in 2012. Having been involved in various editorial and marketing processes for more than 5 years, he continued his journey in the local music business as Marketing, A&R and Booking manager at Universal Music Hungary. Today, Árpád is the Production Music manager at Schubert Music Publishing, managing the Schubert Music Library catalogue, dealing with new releases and local partners. Now, with 21 years experience in the music industry, Agnes was, from the start of the company, supporting EMI Music Publishing Hungary as copyright & licensing manager. After 16 years she joined an independent company representing the EMI catalogue for the territories of Hungary, Slovakia and Czech Republic and finally in 2015 found her way to Schubert Music Hungary. As a copyright manager, Agnes focuses on catalogue registrations and tracking. She is also the self-styled music service provider in the office. Coming from the field of advertising and event organization, Ildikó brought experience in all disciplines of corporate marketing communication and creative planning. She has managed the licensing in the Hungarian SMP office since 2007, working with all the clearings for commercial-, film-, stage- synchronizations and adaptations. As an expert of the Hungarian (and European) market and the numerous song-catalogues, she holds a daily connection between Writers and Users. Her focus is on finding the right song for the production and taking care of all the delicate details of the authorization process. She cooperates with HBO, UPC, Telenor, Hungarian Telekom, Vodafone, Milli, Sága, Cherrisk, Borsodi, Heineken, Soproni, Dreher, McDonald’s, SZIGET, Zwack, Danone, Tesco, Media Markt, Rossmann, OTP-Amex, Algida, GE, movies like „Liza the fox fairy”, „Ruben Brandt, the Collector” and with many agencies, producer companies and plenty of theatres. With 12 years in the music industry working with authorization, she holds lectures about authorization on several professional events and schools. In her spare time, she uses music as a part of her therapy as she is also a psychopedagogist, and group facilitator. Gusztav started to work in the music industry as Special Project manager at Polygram in 1998. Two years later he joined Koch Music Publishing led by Andreas Schubert. Since the start in 2003, he is the MD and A&R of Schubert Music Publishing Kft, Warner Chappell Music Hungary and EMI Publishing Hungary. His complex and deep knowledge about copyright and the music industry makes him an outstanding expert of publishing. He deals with the accountings, administration, royalties, contracts and copyright with the same passion as with the Artists SMP works with. Due to his cooperation with local society (Artisjus) and especially good relationships with the bigger and smaller market players he became an influencer of the Hungarian music scene. He has great communication with Hungary’s most fruitful and talented writers, giving the support to their work. However, he also enjoys linking Hungarian musicians with international Artists and possibilities. He is truly committed to the music industry. Thomas was a long-standing Senior Press & Online Promoter for Universal Music Germany and most recently Product Manager at Polydor / Island (PIL), and has been part of the Hamburg-based Schubert Music Agency (SMA) since September 2018, which includes Celsius Management, Hardbeat Promotion and the SMILE record label. Robert worked in the past as General Manager GSA Warner / Chappell, General Manager GSA Universal Music Publishing, General Manager GSA Sony / ATV, and until March 2018 as Vice President of Copyright Administration at BMG in Berlin. Starting from April 2018, Robert helps to develop the German office and the whole Schubert Music group, being responsible for clients relations. Apart from growing up in a family of music publishers and producers Kathrin has a longtime experience in the music industry. She has worked at one of Germany’s most prolific copyright law firms, she was legal affairs Manager at Universal Music Publishing and even spent a while at the London offices of Warner Chappell Music Publishing. She is running two independent music publishing companies as owner and MD. working at the legendary promotion company Public Propaganda – being head of the alternative promotion department Hardbeat since 1997 for almost 15 years. He then joined forces with Schubert Music Publishing, running their German office based in Hamburg, followed by the foundation of Schubert Music’s own label SMILE Records and the takeover of Celsius Management, currently with 12 artists from, Rock to Pop, on their roster. Eric Burton is a middle man in between publishing (Schubert Music Publishing), promotion (Hardbeat and Celsius Promotion), label (SMILE Records) and Management (Celsius Management). A trained book-seller / publisher, starting right after the fall of the iron curtain, his first music company in Poland (Edition Schubert), grew to become one of the largest distributors and a very successful local label. After selling the company to Koch International, Andreas became responsible for all of their Central and Eastern European (CEE) operations. In 2003 Andreas established the new Schubert Music Publishing company, which quickly became the leading music publisher in CEE, to be followed by the opening of local branches in most Western European territories and the USA. Investing in other music services besides publishing – like promotion, management and labels – Andreas always took care of keeping the company truly independent. Therefore Schubert Music Europe and all related companies are exclusively owned by Andreas and the leading co-workers of the company. Since 2013 Michael, equipped with sole power of representation, is holding responsibility for the accountancy of all German subsidiaries of the Schubert Music Group. Alex has joined SMP France as Sync and A&R Manager after collaborating and consulting for Schubert Music Publishing as a freelance and sync broker for a few years. With 20 years of experience in the music industry, Alex started his career writing about music for Press and Web as well as working as Head of Programming and Music Coordinator for the French Student Radio Federation. For 10 years he was running PR agency Magnetic Promoters (working for Warp, Record Makers, Rhymesayers, !K7, F Communications among others) and established the independent label Asphalt Duchess (Grizzly Bear, Psapp, Mondkopf, The Embassy, François-Eudes Chanfrault). Matthieu is the Managing Director of Schubert Music Publishing SARL and Smile Records France and talent agent of film music composers (David Hadjadj, Stéphane Le Gouvello, Filip Woja, Jerry Lipkins, Nicolas Baby, Ivan Beck, Frères Cirade, Camille Delafon) and in collaboration with Cinélite, is focused on original music, sync and music supervising for film, commercials and video games. He has co-written two books “Droit de la musique” – “Music and law” (2016) and “La musique à l’image” – “Music and audiovisual” (2017). His 18+ years of experience in the music industry includes being legal & business affairs at Warner Music France and Warner/Chappell Music France), Managing Director and A&R at MVS Music Publishing, owner and music supervisor at Bruit Blanc. Vladimir has been a part of Schubert Music Publishing Bulgaria since 2014. He is a music industry professional with 10+ years experience in Bulgarian and international record labels (Orpheus Music / Warner Music Group and Select Music Media /Bulgaria/) and music publishing companies (Power Play Publishing /Bulgaria/ and Schubert Music Publishing). Vladimir holds a bachelor’s degree in Media Economics from University of national and world economy (Bulgaria), a master’s degree in Music Industry Management from New Bulgarian University (Bulgaria) and a PhD (doctoral) degree in Intellectual Property Business in the Music Industry from University of national and world economy (Bulgaria). He has professional Intellectual Property Certificates from World Intellectual Property Organization /Geneva, Switzerland/ and after academic specialization at the University of Liverpool’s Institute of Popular Music Vladimir was awarded Best International Music Industry PhD Student 2014. Boyana founded the Bulgarian subsidiary of Schubert Music Publishing in 2004. Beforejoining the Schubert Music Publishing team she worked for a number of law firms and also for the Bulgarian licensees of Universal Music Publishing and EMI Music Publishing. She has been a managing director of Schubert Music Publishing in Bulgaria from the very beginning. In addition to her role at Schubert Music Publishing, she continues to work as an attorney. Boyana holds an LLM degree from Sofia University St. Kliment Ohridski, Bulgaria, a Postgraduate Diploma on Copyright and Patents Law from Queen Mary, University of London, UK and an LLM degree in IP and Technology Law from University of San Francisco, School of Law. Bill is a broadly experienced administrator for major music publishers and record companies with management background in copyright administration, licensing, audits and royalties, though he has worked in every step of the modern music publishing process. Bill has worked with companies including Bug Music, Universal Music Publishing, Universal Music Group, Virgin Records, and Pacific Electric Music Publishing. Having worked with larger and smaller catalogs he has always kept his priority to working as an advocate for the artist. In his professional career he has been an artist and composer in different companies (BMG, RCA, Horus, Justine,…) as well as founder and CEO of Ventilador Music since 1995. In this company (artistic agency, label, music publishing,…), he has specially managed its international activity and digital development which, together with its artistic services (management, booking, communication and production), nurture his 360º vision in all fields of music business. Since July 2013 Josep is the MD of Schubert Music Publishing Spanish office, with the aim of incorporating a new catalog of Spanish and Latin American music, as well as promoting the creative services of Schubert Music in Spain and other culturally related countries. Founding member of APECAT (Catalonian Phonographic and Video Producers Association), and also member of its board of directors (2003-2010). He has been vice president of the AEDEM (Spanish Music Publishers Association) between 2015 and 2019, and president since February 2019. Schubert Music Publishing has its own offices across many cities in Europe and US. Here we feature presentations of each one. Schubert owns or is otherwise linked to a collection of related companies which offer differing services, such as label services, artist management and PR. Information about these companies and their services can be found here. Celsius Management is a division of Schubert Music Agency based in Hamburg. The company’s main focus is international artist management, allied to development and marketing of entertainment content and rights management. Our team in Hamburg and Berlin and the supporting network create an ideal framework for artists and creative spirits to pursue their passion, ideas and careers. Our expertise and experience stand us in good stead to meet the complex challenges of the creative industry. In terms of corporate culture rather than philosophy, ours lies somewhere between Depeche Mode’s “Everything counts in large amounts” and former Porsche CEO Wendelin Wiedeking’s pertinent remark “If profit were the answer to all our questions, then we would all be drug dealers”. The team at Celsius Management has held leading positions in the music industry since the early 1990s. The leading promotion company in Germany for Alternative, Rock and Electronic Music, led by Eric Burton. Hardbeat is also responsible for the DAC, the official German Alternative Charts. The international label for Schubert Music’s own releases, based in Hamburg. SMILE knows no genre borders, so SMILE is all about diversity — from Pop to Rock & Metal via contemporary Electronic music to the Indie / Post-Punk / Alternative underground and Movie Soundtracks. Founded in 2013 to successfully provide production music to media and creative industries to be licensed for movies, advertising, TV production and various digital projects. Constantly growing, the company is now looking after an impressive selection of various libraries and promoting them actively in the territories of Poland, Hungary, Romania, Bulgaria and recently France. 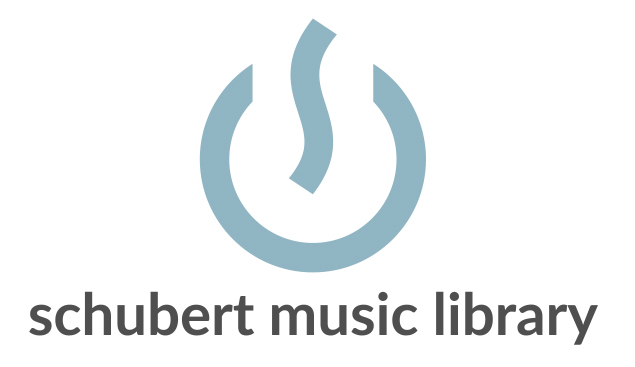 Since in 2018, Schubert Music Library has been building its own SML library content as a result of cooperation with French and Hungarian writers. Founded by Henry Storch, who was also the founder of the legendary Unique Records and Club in Duesseldorf, and Tino Stoschek, Unique MV became the publishing home for most of the artists/writers released on Unique Records and Haldern Pop, which became a close partner of Unique with its own Edition Haldern Pop. Bruit Blanc is a French executive producer for audio-visual works, label and book publisher managed by our MD Matthieu Chabaud. BB is not only the home to novels, short stories and poems from contemporary authors but also to radically subversive, disturbing, sometimes shocking magazine Freak Wave – a genuine mix of styles, generations and moods. 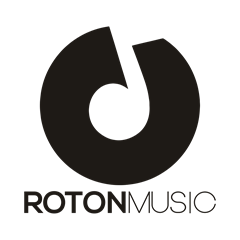 Founded in 1994 and from the beginning led by Dan & Catalin Muraru and Bogdan Maxim, Roton became one of the most important players in Romanian copyright industry. Focusing on global dance music, many of label’s releases have become major European hits easily crossing borders in other parts of the world as well. Schubert Music Publishing sub publish Roton’s repertoire in many territories.